2015 Citroen C4 review | What Car? 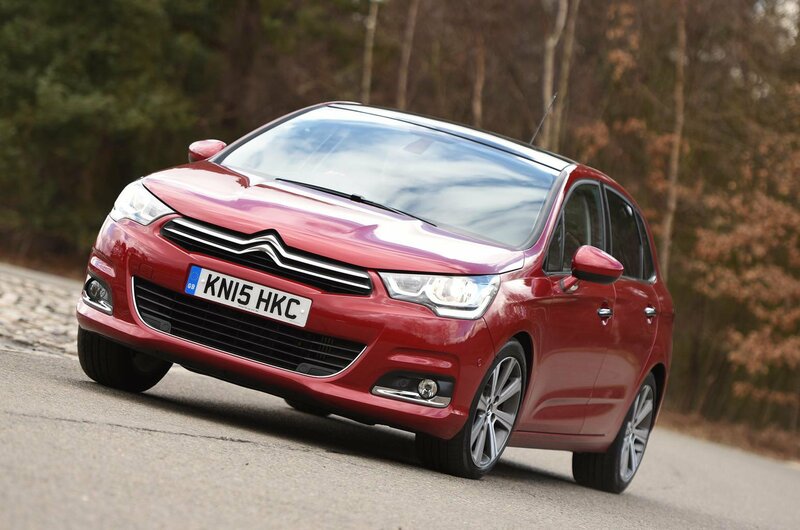 With the spotlight firmly focused on the Picasso and Cactus in recent years, the standard Citroen C4 hatchback has become easily overlooked in the C4 range. This facelift could up its profile, with some modest styling tweaks, a cut-down trim range – Touch, Feel and Flair – and a raft of more efficient new engines including two 1.2-litre, three-cylinder petrols, a 1.6 diesel in two power outputs, and the range-topping 148bhp 2.0-litre diesel engine we're testing here. The question is, can the updates make the Citroen C4 more recommendable against such brilliantly capable alternatives as the Volkswagen Golf and the Ford Focus? What is the 2015 Citroen C4 like to drive? The strongest asset to this C4 is its gutsy 148bhp 2.0-litre diesel engine, and a glance at the spec sheet suggests that it’s ready to give the Golf and Focus a run for their money. True, it’s not as fast as the Golf’s 2.0-litre TDI, but it will see off the Focus’ 2.0-litre TDCi in a 0-62mph race, and it’s more efficient than both of them by some way; 98g/km of CO2 emissions and a claimed fuel economy of 84.3mpg are extremely impressive figures, and puts this C4 two company car tax bands lower than the Golf 2.0 TDI. Despite its low CO2 output, the C4's engine is responsive and pulls strongly right up until around 4000rpm, when you’ll want to shift up to stop the diesel clatter from becoming too intrusive. It's not exciting, but it's a flexible engine that manages town driving well, and the six-speed manual gearbox keeps revs down at motorway speeds. It's here that the C4 feels most comfortable, with its soft suspension remaining composed and making the Citroen a good long-distance cruiser. However, while the C4 travels well at a cruise and over big bumps, it becomes jittery over patched-up town roads and light, vague steering response doesn't offer much confidence, either. Refinement is fairly good; a long sixth gear means the engine is fairly hushed when you do reach 70mph, but wind noise whipped up around the door mirrors becomes particularly noticeable in the cabin. What is the 2015 Citroen C4 like inside? There’s plenty of space up front, although we’d definitely suggest you avoid adding a panoramic sunroof, which impedes on headroom in the back to the extent that adults will only be comfortable on short journeys. Even without the glass roof, space in the back is cramped and lags some way behind plenty of other rivals in the class. Opting for Flair trim will get you plenty of luxuries including the 7.0in touchscreen, which goes some way to de-clutter the dash, although it's quite slow to respond. If you're a high-mileage driver it’ll be worth adding sat-nav for an extra £440. In fact, Citroen just offers this 2.0-litre diesel engine in Flair trim, so you don't have much choice if you're set on this engine. If you're considering one of the less powerful models then we'd suggest you have a look at mid-spec Feel, which gets the essentials including digital radio, USB-input, multifunction steering wheel and cruise control, although the touchscreen and nav is an expensive £900 option on this trim. Even if you do have the swanky colour screen and this top-spec trim, the C4’s interior still feels cheap, with the damping and materials used for the switches and dials falling short of the perceived quality you get in a Golf. Room in the back may not be too generous, but the 408-litre boot – 1183-litres with the seats down – offers more space than the Focus and the Golf (if not as much as the much roomier Skoda Octavia), and a nice practical touch sees the removable boot light double up as a portable flashlight. It’s economical, it’s quick, but it’s not exciting, and – aside from boot space – its cheap-feeling interior is some way behind its rivals. At £20,045, though, it does represent good value, undercutting high-spec versions of the Focus and the Golf by a useful amount, along with seriously competitive company car costs. Even with the purchase and running costs in the C4's favour, however, poor resale values let it down, and it's simply not as comfortable nor as good to drive as plenty of alternatives. The C4 moniker represents practicality with the Picasso and style for the Cactus, but in its own right, the C4 hatchback falls short.